I've written before about my gorgeous and super stylish Mum. Maybe I am getting a little sentimental as I get older, but I thought I couldn't let Mother's Day pass by without another nod to this amazing lady. Despite a pretty rough start to the year, she's kept her chin up, kept smiling and ploughed ahead. Simply inspiring. I love the photo of her above, doing some hand sewing with a stubby on hand. 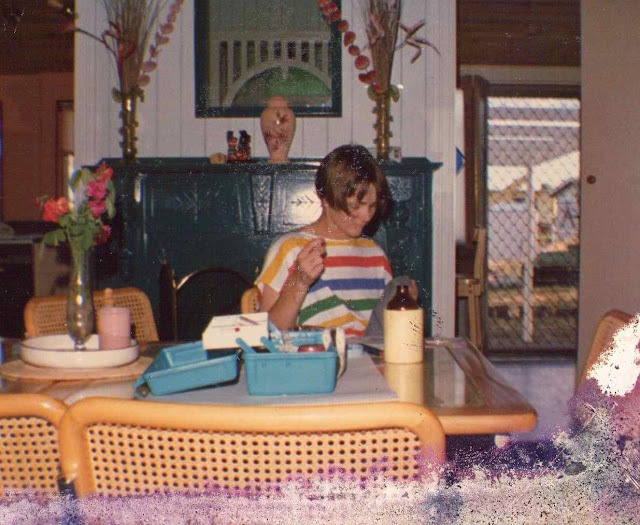 She wasn't a super crafty kind of Mum in the traditional way, probably more for lack of time as we grew up, but she did pull off some mean feats on the sewing machine. I think her finest effort in my eyes was one amazing Rainbow Brite costume that stood the test of time and was still being altered and used for dress-ups when I was in my teens. I will have to dig out a photo sometime to share. Whenever I have a big market coming up, or a big order to fill, Mum loves using it as an excuse to make a visit to Melbourne and give me a hand where she can. 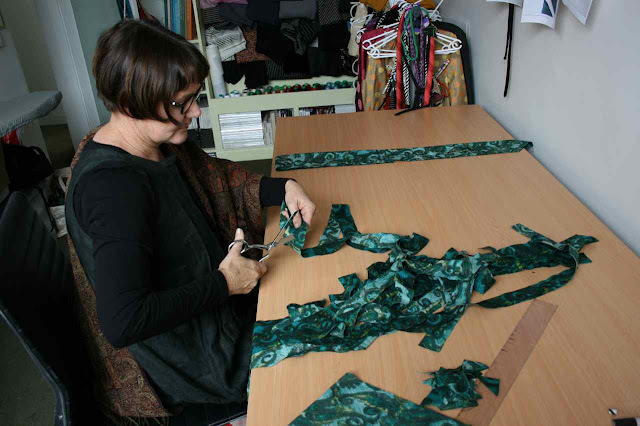 Below is a snap of her hard at work in the workroom before Finders Keepers earlier this year.